You are here: Home / Blogging / Why Do Most of the New Blogs Fail To Make an Impact? 5 of the most common reasons why most of the new blogs fail are blogging to make quick money, not original content or view, Worry too much about SEO and not about readers, Not investing enough money and reading the wrong stats. I have seen a lot of blogs fail and as I talk to the blogger’s I find some of the most common mistakes these bloggers make that leads to the failure. 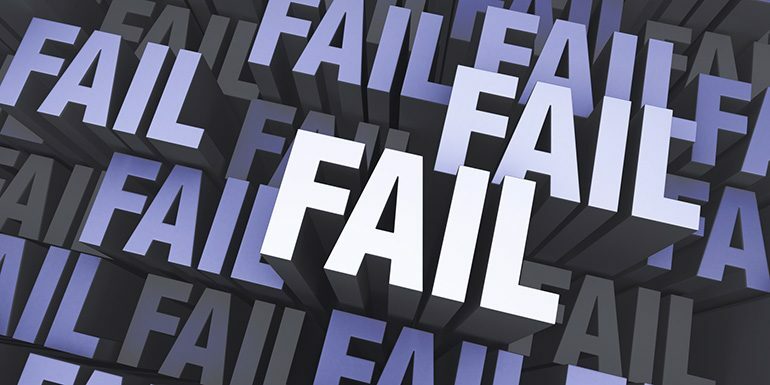 I prefer to phrase it as blog fail and not Blogger fail because it is not the blogger who has failed but it is actually the blog that failed to meet the blogger’s expectation and so he lost interest in blogging as a whole or blogging in that niche. So let us see what the common mistakes by new bloggers are. No matter what business you start, you should focus on building the business first and then worry about the finances of the company and blogging is no different. If you read books on blogging, you can accumulate a lot of knowledge about blogging but that does not mean you have become an expert. You have the bookish knowledge but then applying the same to your blog practically in your niche can take some time to learn. Try to gain the experience and knowledge before thinking about making money out of it. My Investment Blog never started it with the intention of making money but to help the retail investor understand the market in India. I have evolved as a trader, investor, a blogger and so did my blog and I have my eBook that is selling more than I expected to sell. In many discussions on various forums, I see people feel proud of the number of blogs they own. I read such threads and I don’t feel like sharing the number of blogs I own i.e. two of them because some members own few hundred blogs. Having more blogs is not bad provided you can create content for each of those blogs on a regular basis but if you have too many blogs few of them are bound to become dead over time. To make it alive you may either need to copy paste content from other blogs or make it an automated blog i.e. a blog which fetches content from other related blogs and forums, spins the content using some software to make look unique for search engines. Instead of trying to make such blogs it is better to have one or two blogs where you can actually BLOG. There are very few people who start their first blog and know about Real SEO. Majority of the people I have met have read about SEO in forums and think they are expert in SEO and can do wonders with WordPress and start blogging. They don’t focus on a blog but their focus is SEO. Forum information on SEO can be misleading because forums are for sharing views. Anybody can share his views and opinions about a question or query. It helps in knowing different views and opinion. Things that work and things that don’t but that can lead to a lot of information that may not always be correct and for a particular case. So you have to grasp that information like views and not as knowledge. As an example, the first reply to this thread says that blog commenting is very useful and can lead to a lot of traffic. If someone searching in Google lands on that thread, reads the question and if this is the only answer to the thread or if there are few such answers to the thread he may start thinking blog commenting can do wonders which can lead him to think about blog commenting as part of SEO. The reality is I am yet to see any site that can rank higher in Google only based on blog comments. When starting you should focus on blogging and over time get your SEO and marketing plans executed. What would you prefer if you plan to be a cricketer? Build a cricket bat yourself from raw wood. Purchase a good quality bat from a shop. I am sure nobody will be opting for the first choice. Now, what would you prefer if you plan to be a blogger? Build the complete blog yourself from scratch. Get it done by a professional. Many will agree that everyone will not opt for the second option and it says all. Alexa ranking or Google Toolbar PageRank are some of the stats many new bloggers tend to focus more on and these are the stats you should never focus on. Apart from those stats, you should not even focus on your Google Analytics stats when starting out. Does it matter if you get 1100 or 1500 visits to your blog in last 30 days? Isn’t that just a number to satisfy you? For blogger the most important part is content t start with and once you have good solid content on your blog you can work on links to your content. So you should focus on only one number which is how many good quality articles you have on your blog and how you can increase such good quality article count. I am not saying that these methods are wrong but what I mean is these methods are not good if you are just starting out as a blogger because I have seen these mistakes enough times to judge that they are the most common reasons on why new blog fails. Thanks Shabbir. The verdict seems to favor WordPress according to this article. I’m currently focused on the content and comfortable with blogger. Please do look at my blog when time permits and share your suggestions or feedback. Nice blog but certainly few things that I would not have on my blog and let me explain why as well. Blog Statistics – 703 people visited your site does not add credibility to your site but it downgrades your credibility to some extent. Ezine @rticles – The aim of your articles in Ezine is to drive traffic to your website and not the other way round. Language Translator – Not sure if many users use it. Gold Forecast – Again same reason as above. Ads – With only 700 total people visited your site, you are bound to make hardly pennies and so you can always afford not to monetize your blog now because that helps you focus on building blogs rather than making those few cents. So I think even if you use WP or Blogger I will change those things for and you would see the same being implemented on my blog as well. You could clearly see that I am fine not having ads on my blog and that is because I don’t think it would make me a fortune as of now and so it is better to focus on building blog than anything else as of now. On top of that you could see that I have sidebar that focus on user engagement rather than things that can make user bounce from my blog. Thanks for sharing the reasons for blog failure. I’ve also experienced it when I started a blog and failed to sustain. But I’ve been able to restart the same blog about 6 months ago and I’m seeing some response, visits, comments though it still needs time to grow. You also mentioned that SEO is not so important, and focus should be on content. I have another question regarding the blogging tools or website. I’m using blogger.com as my blog platform but some people recommended Word Press. I dont find any difference except for design, layout, etc. What is your advise? I think you are assuming your blog fails because they are in your local language. If you can blog about things which malyalis are looking for, you should be fine. Do you understand English because I have explained the same thing in comments more than once. Do you think Alexa Site Audit is worth it? No I don’t think so and I am yet to see anything positive out of it by anybody whom I know or follow.